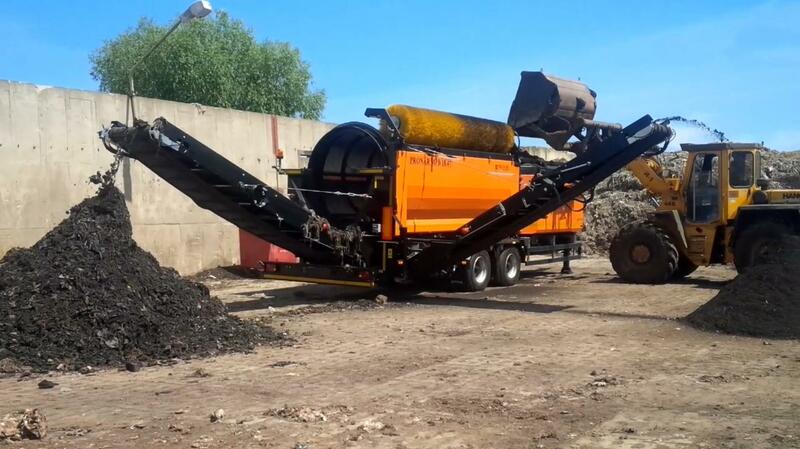 Mobile trommel screener Pronar MPB 18.47 – this device has a 4.7 m long and 1.8 m diameter of sieving drum, which can be replaced without removing parts of the machine. 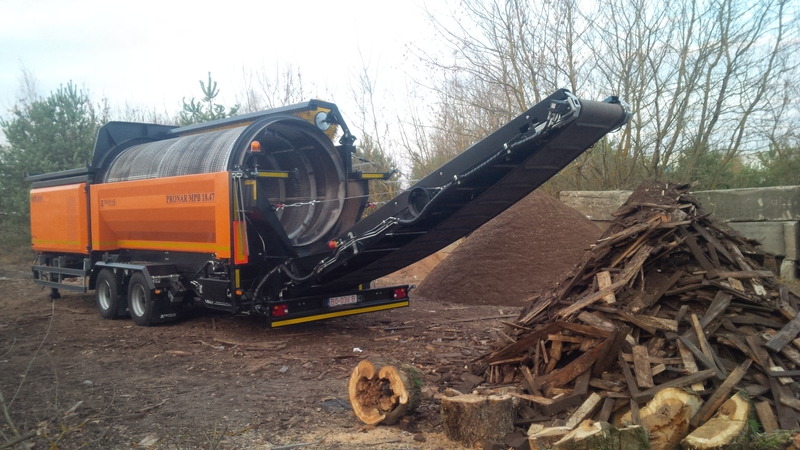 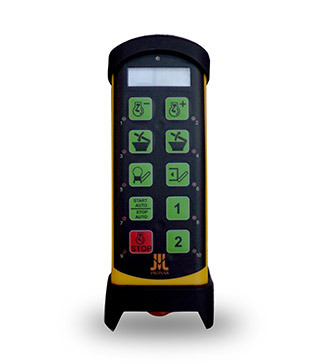 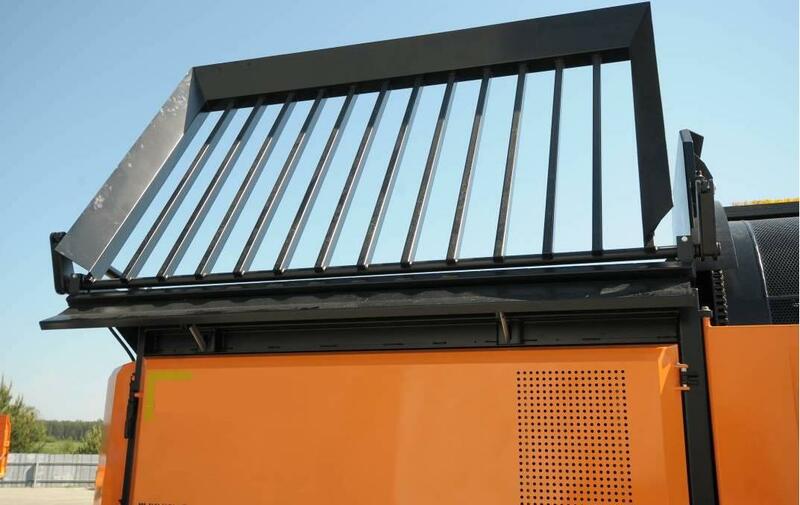 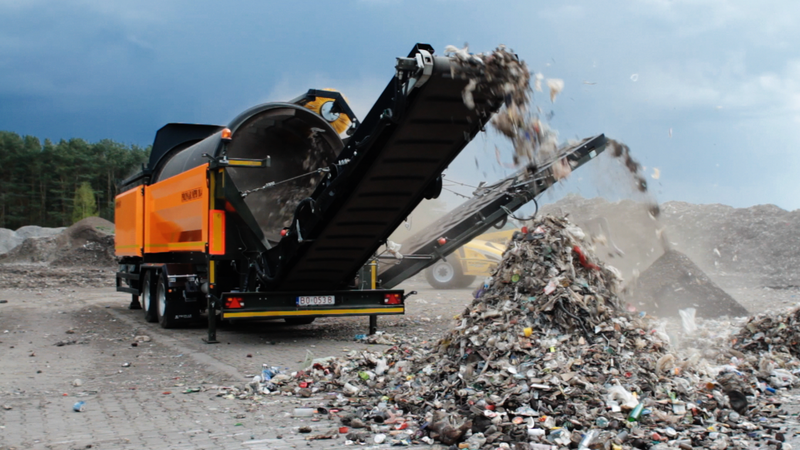 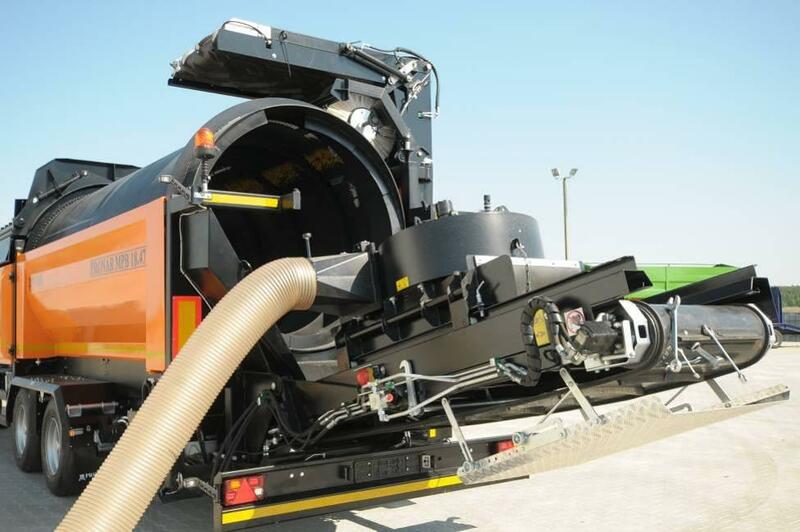 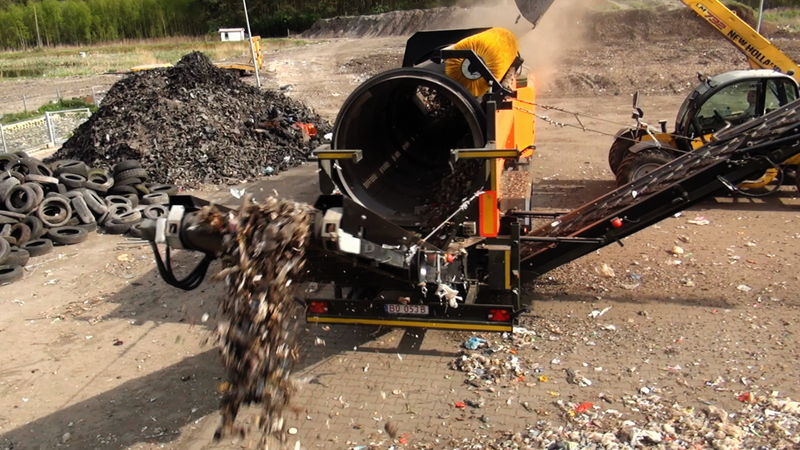 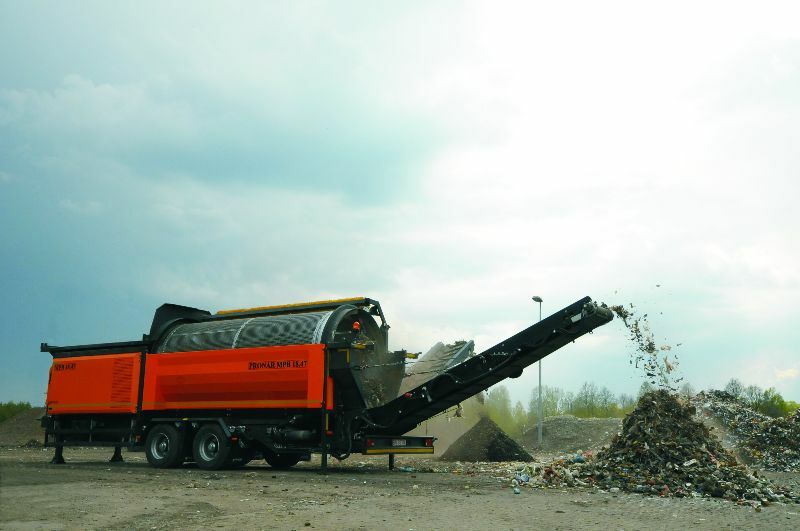 PRONAR MPB 18.47 mobile trommel screener effectively separates the constituents of different sizes. 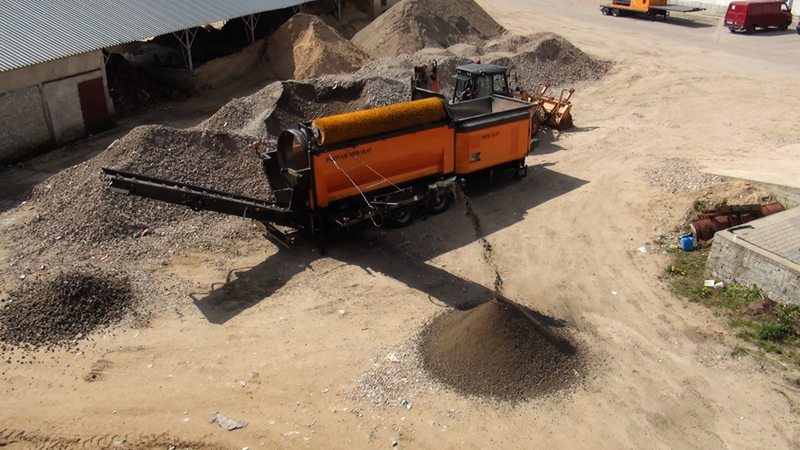 Principles of operation and screening is very simple and ensures high efficiency. 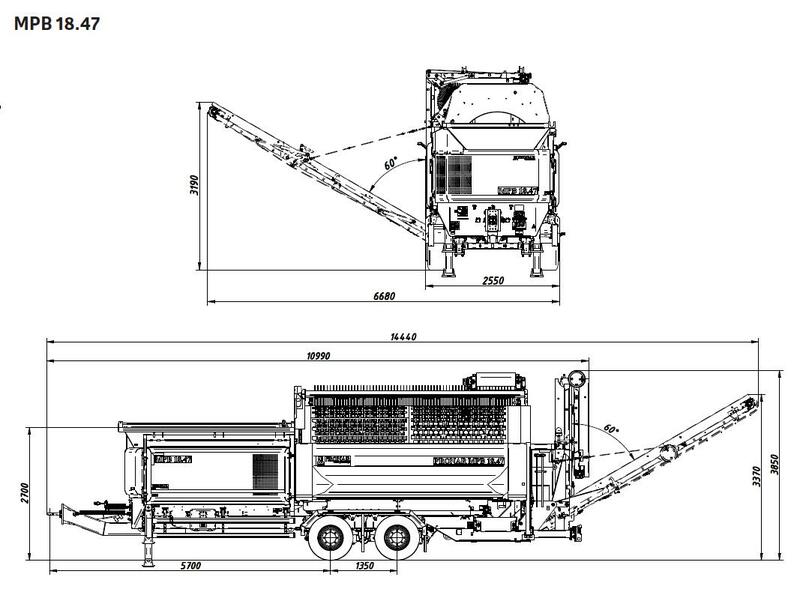 The dimensions of machine and the ability to attach and tow it with different vehicles, e.g. 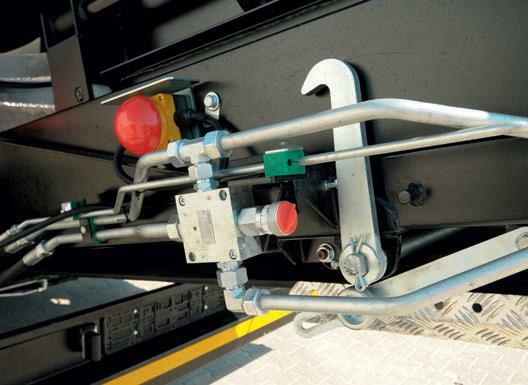 trucks, tippers, allow to navigate on public roads without applying for special permits. 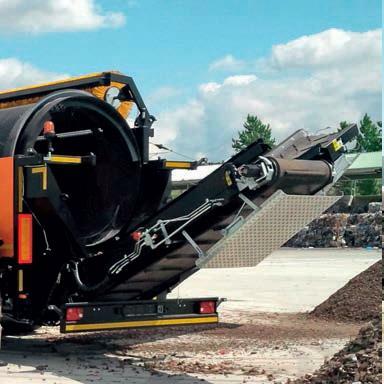 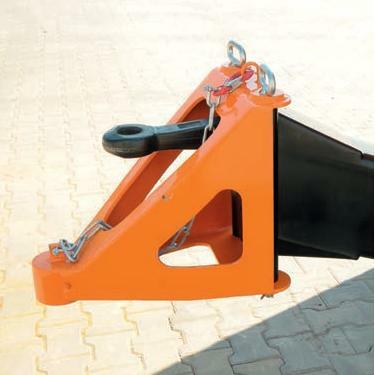 Wide-opening covers provide instant accessibility to mechanisms and fast switching of screening drums when it is required to change the mesh size. 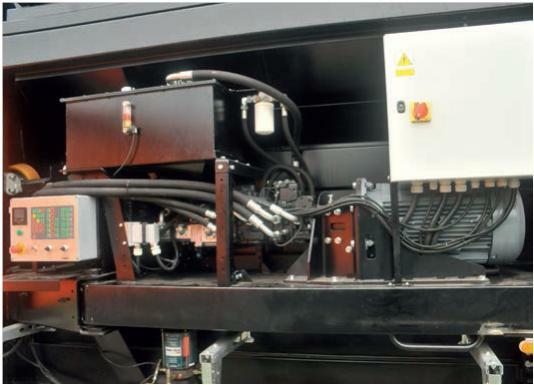 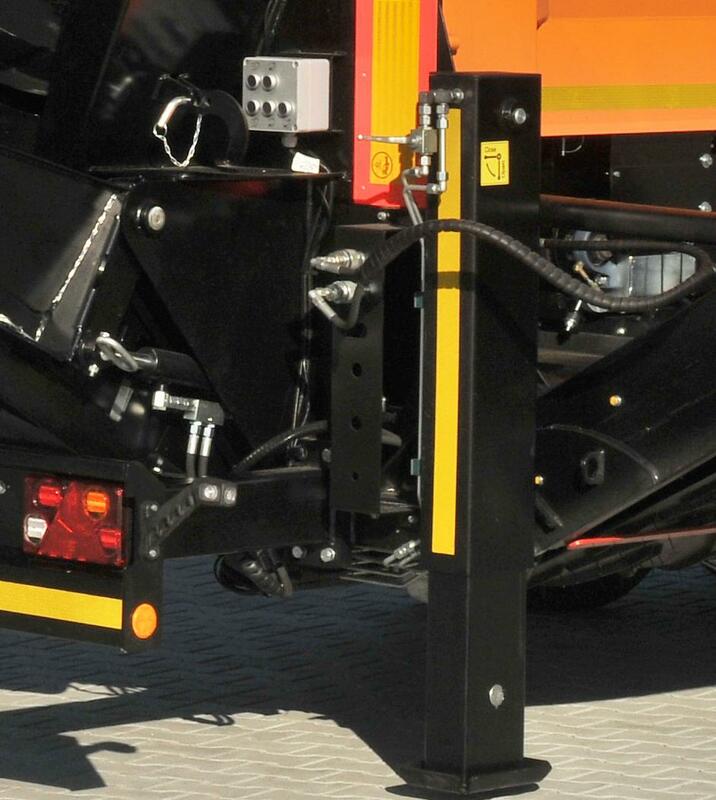 MPB 18.47 motor and the hydraulic pump unit are placed on a hinged trolley – this allows for fast and easy maintenance access to the motor unit, hydraulic system and hopper.